Two years ago, NASA’s New Horizons spacecraft flew by Pluto, capturing never-before-seen views of the dwarf planet and its icy heart. Since then, the intrepid spacecraft has been speeding toward a reddish object in the Kuiper Belt known as MU69 (nice). 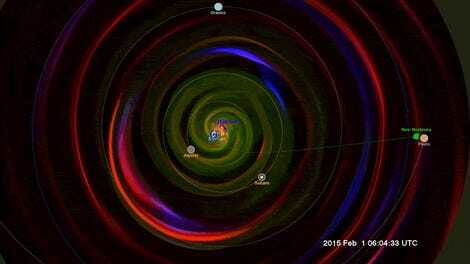 It’s set to rendezvous with its next target in less than two years. But new observations from the New Horizons team show that the spacecraft may be in for more than it bargained for. 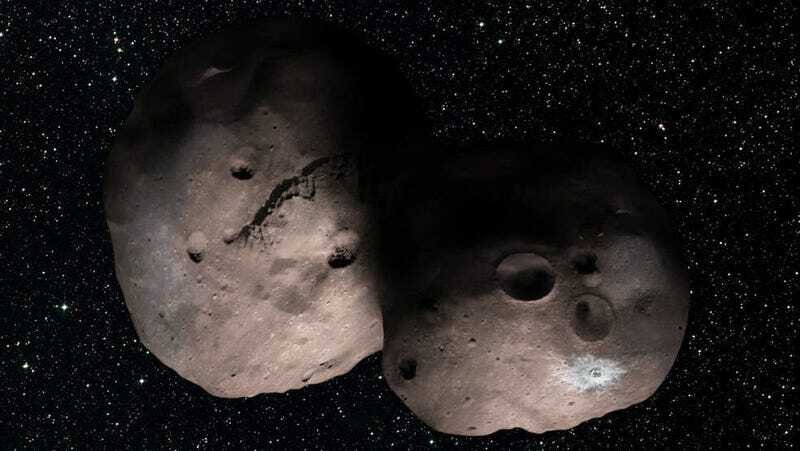 According to NASA, recent observations made from telescopes in Argentina suggest MU69 might actually be two objects that are either super close together, or touching. Alternatively, MU69 could just be a long, ovular object, but researchers still aren’t sure yet. It’s basically a question of whether or not MU69 looks like two IKEA meatballs or one mutated, long one with a bite taken out. Based on their new telescopic info collected when the rocky object passed in front of, or occulted, a distant star, the New Horizons team thinks MU69 is no greater than 20 miles (30 kilometers) long. If it’s two space meatballs smashed together, each one could be about 9-12 miles (15-20 kilometers) in diameter. Of course, we won’t know exactly how bizarrely shaped MU69 truly until New Horizons approaches it on New Year’s Day in 2019. Until then, we’ll be sitting here making memes about its alleged thiccness. New Horizons is Officially Off to the Kuiper Belt!